What’s so unique about Dragonball Z? Is it the stylishly weird hairstyle or the lengthy scripted story with dramatic facial expressions and dialogues? Well, it’s the raw fights and pyrotechnics that have made Dragonball Z an exceptional anime series. With large ambient battles and unimaginable fireworks, Dragonball Z series influenced video game developers to create an immersive DBZ universe for the gaming world. From the ancient Super Famicom to the ever-popular PlayStation 3 console, numerous video games were released for various platforms. 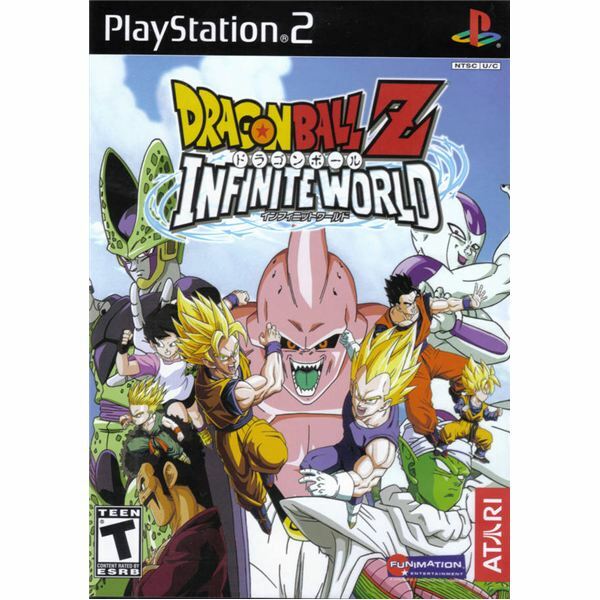 A good number of Dragonball Z video games were also launched for Sony’s PlayStation 2 console. Here’s a nice compilation of the most immersive Dragonball Z PS2 games for all DBZ and fighting game fans. Almost all Dragonball Z games boast fast-paced, intense fights. Infinite World elevates this fighting element to greater levels of complexities. Whether you select Easy or Hard mode, it doesn’t affect the quick moves and thunderous assaults of enemy AI. Of course you can upgrade your character with new skills and abilities and fight back hard, but you may have to buy the right stuff tactfully before a battle This can become more complex if you don’t have any idea of the opponent’s powers. The game’s story mode is the right place to confront numerous old and new Dragonball Z characters. You will guide Goku through several fighting levels, battle enemies, play some trivial mini-games and earn in-game cash (Zeni). With the money earned, you can buy powers and upgrades. This may make fast-paced levels a bit easier for you. Dragonball Z: Infinite World has two additional game modes besides Dragon Mission—Dragon Duel and Fighter’s Road. All play modes are equally immersive and solely concentrate on one-on-one battles. You can play Dragon Duel against your computer opponent or friend. This mode has over 40 famous characters to choose from. After completing the Dragon Mission mode, you will unlock the Fighter’s Road mode, which is a secret unlockable. The scope for replayability is immense, with story mode providing excellent opportunities to re-play previous levels and rake in some game cash as well as unlock goodies. Don’t be surprised if you find lots of design similarities between Super Dragonball Z and Street Fighter. This Dragonball Z fighting game owes some of its unique designs to Noritaka Funamizu, the producer of Street Fighter II. However, the traditional manga presentation and excellent cel-shaded animation is what the game is remembered for. The fighting mechanics has a typical Dragonball Z look and feel, which can be experienced through the arcade and survival mode. Completing fights successfully will help you earn battle points. These points can be spent on learning new moves. You can also collect different Dragon Balls to invoke the dragon Shenron to fulfill your character unlockable wishes. 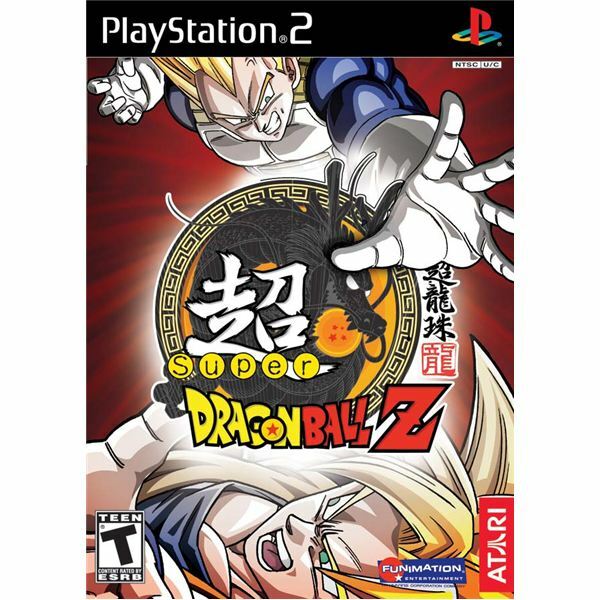 Although there are very few characters in Super Dragonball Z, the game is still seen as one of the best Dragonball Z PS2 games of the decade. The first Budokai game had all the fun and excitement of a fighting game, its sequel was a boring board game wrapped up with improved cel-shaded graphics. The third Budokai game is by far the best fast-paced fighting game of the entire Dragonball Z Budokai series. With new gameplay mechanics and combat moves, Budokai 3 gets to the core of fighting. The innovative teleport system brings some combat tactics into play. Using this system, you can move and teleport Goku to any position and surprise-attack opponents. The Dragon Rush is another well-crafted strategic combat move which can inflict serious damage to your opponent. Once triggered, the camera presents a cinematic perspective to the entire Dragon Rush move. It’s like watching the anime series in PS2! 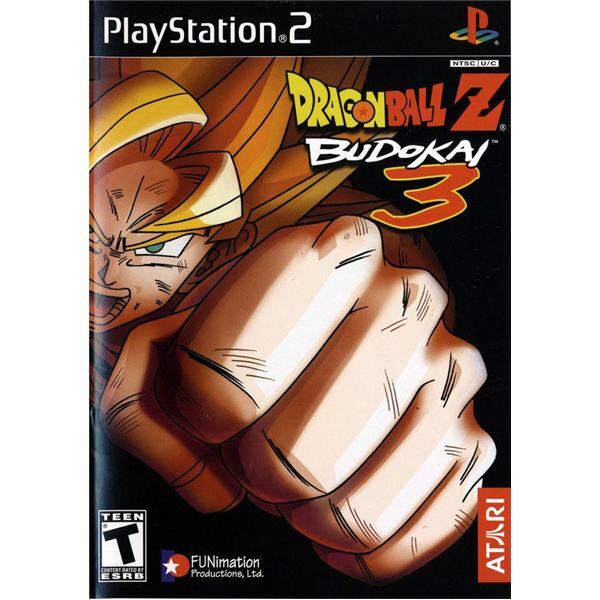 If you have a penchant for Dragonball Z PS2 games, make sure you add Budokai 3 in your DBZ video game collection. 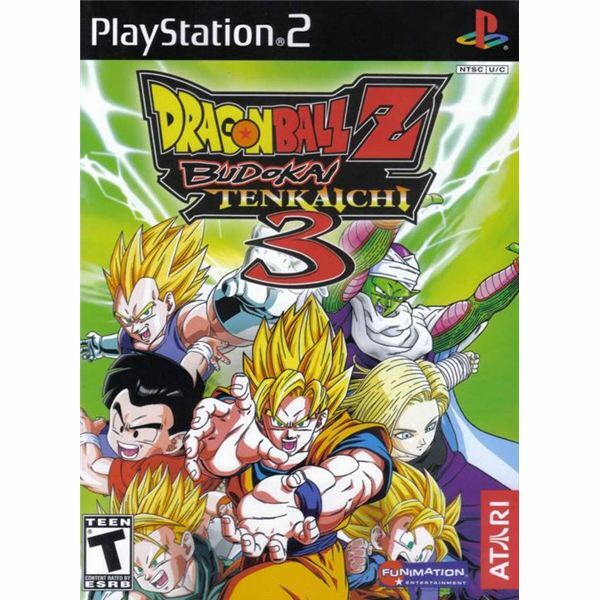 Gamers who relished every morsel of Budokai 3’s fighting style will love Budokai Tenkaichi’s distinct camera perspective and simple combat mechanics. The game does not follow the archaic side profile position adopted by its predecessors. Instead, the game’s entire fight scenes have a third person perspective. This will help you switch positions and move around the environment freely. The third-person free-roaming mechanics certainly provides the much-needed Dragonball Z look and feel, but gamers well-versed with the traditional side profile perspective might get uncomfortable at first. 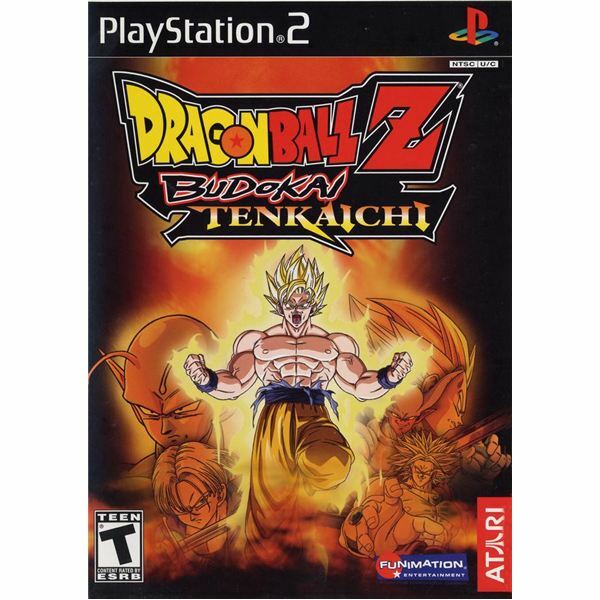 Compared to other Dragonball Z PS2 games, Budokai Tenkaichi does not offer variation in fighting, but the simple combat styles can be an excellent learning curve for a newbie DBZ player. The game modes are also pretty straightforward, complete with classic arcade-style fights and boss battles. While devout DBZ followers will certainly like the third-person perspective, fighting game fans will find the camera angle a bit frustrating. With over 150 fighters and a few new combat tactics, Budokai Tenkaichi 3 is the third sequel to the Tenkaichi series. In terms or visuals and smooth animation, the game is far better than its predecessors. The cut-scenes blend very well with the battles and the cinematics offer an excellent anime look and feel. The new fighting elements include Sonic Sway, a new defense tactic, and Z Counter, a fierce move to counter-attack opponent fights. While these changes are excellent, a couple of additional moves would have been more fun. There are loads of extras, trivia and additional information, even the character roster (161) is huge. Overall, Budokai Tenkaichi 3 is a must for every newbie and expert DBZ aficionado.